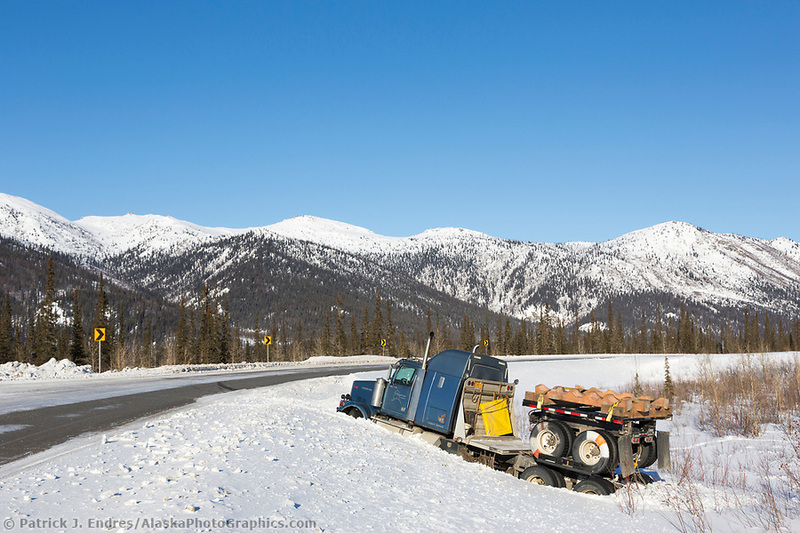 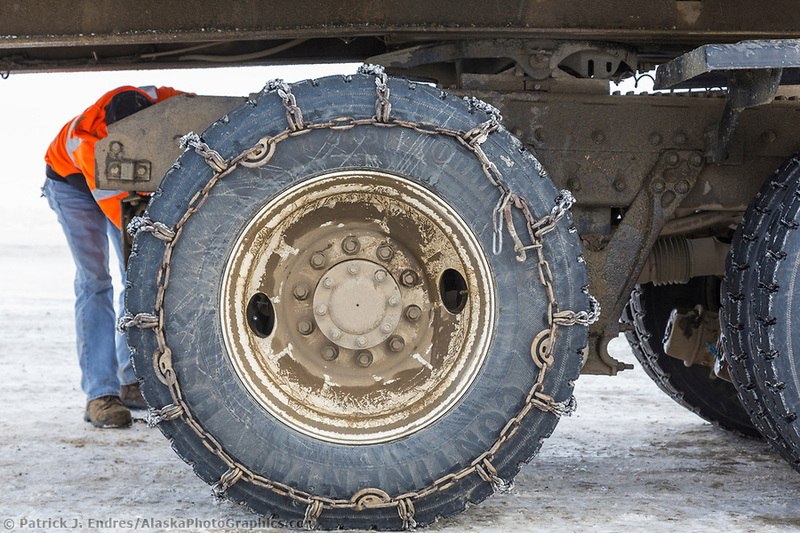 While the road system in Alaska is limited, the industrial trucking operations are critical for distributing and shipping product throughout the State. 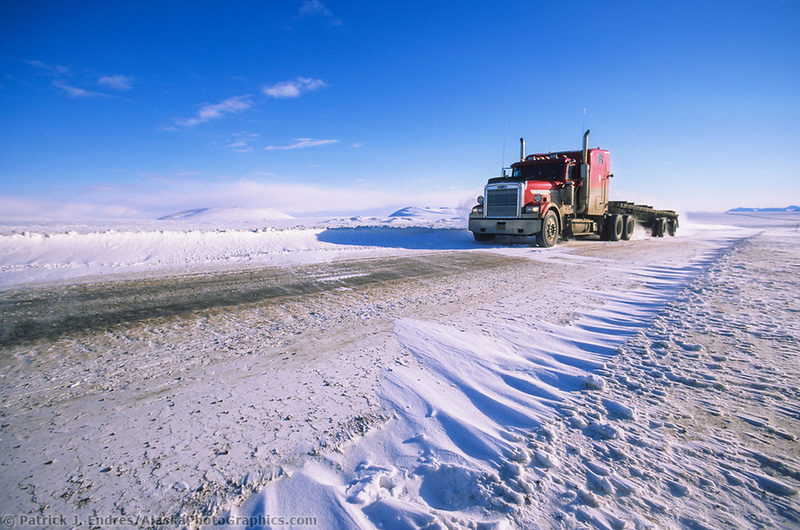 Trucking as an industry across the nation consumes 25% of all fuel usage. 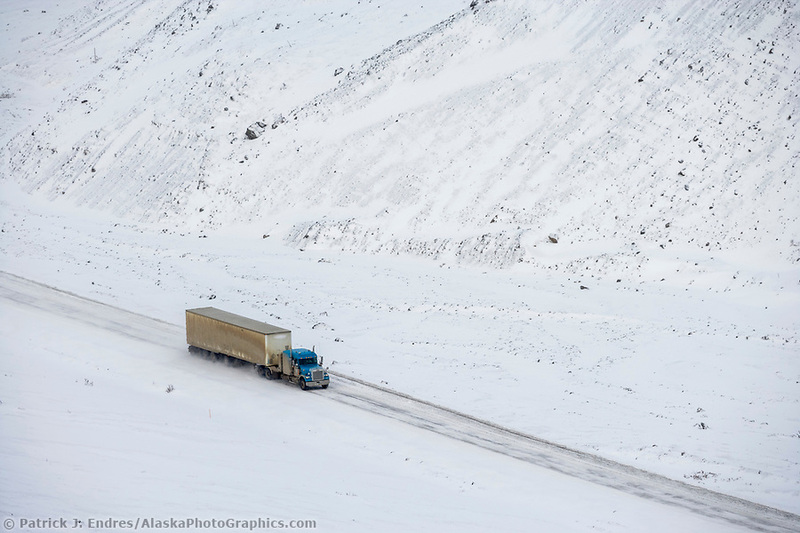 Alaska, due to its remoteness from the rest of the lower 48 states, has no simple choice for transporting goods to and from the State. 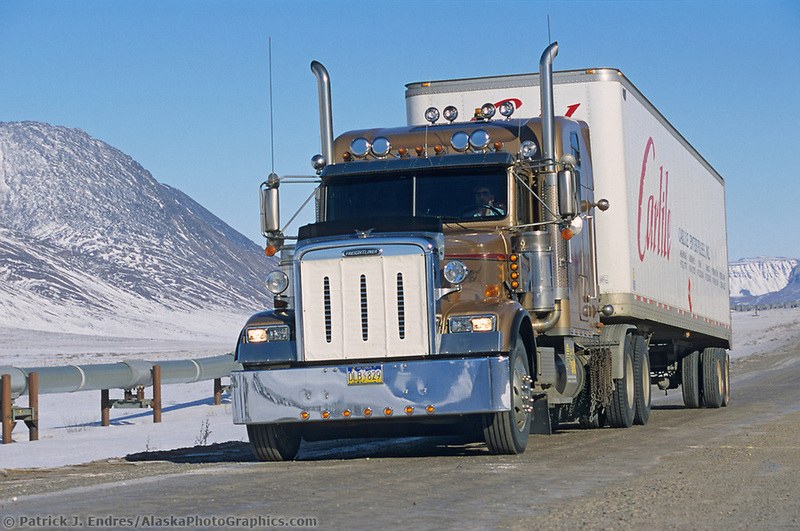 Road, sea, rivers, and air are the primary ways of moving supplies. 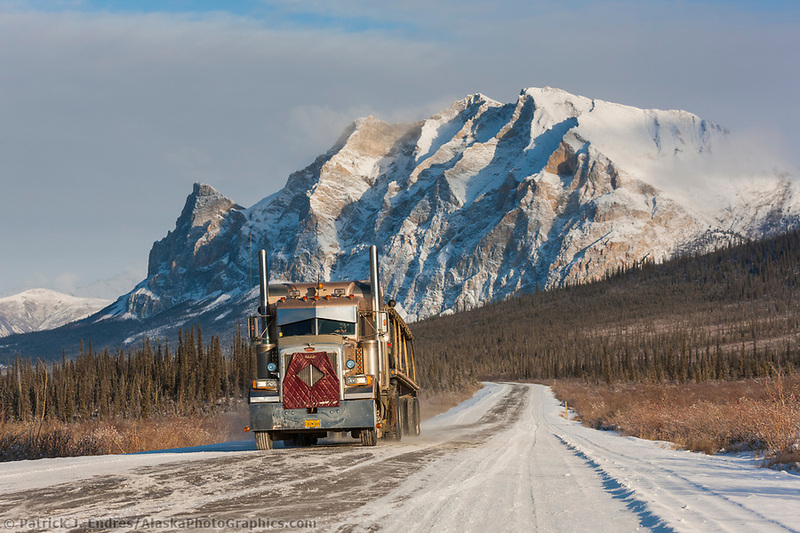 All of the trucking photos on this site are available to license for commercial use or for purchase as fine art prints. 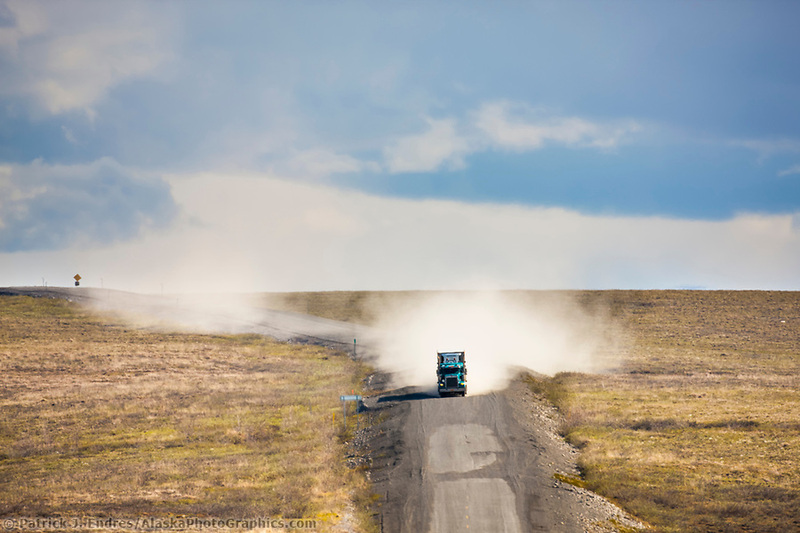 The reality TV show, Ice Road Truckers has probably contributed the greatest public awareness about trucking in remote areas. 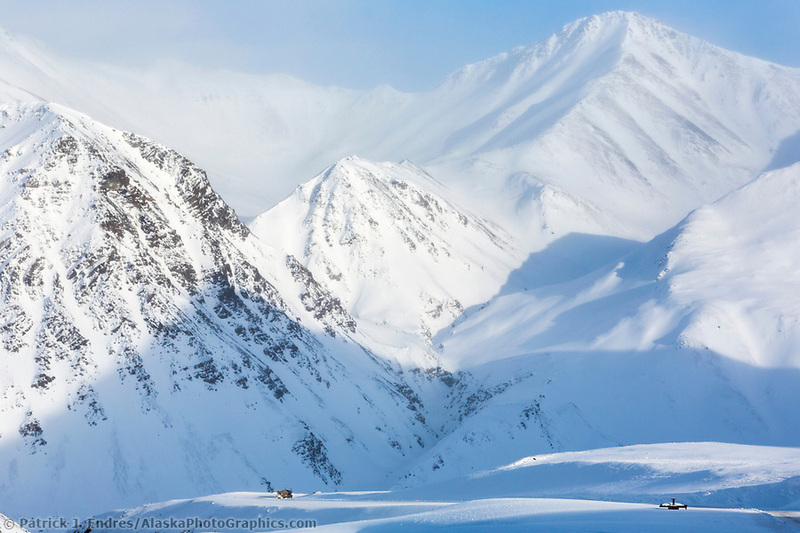 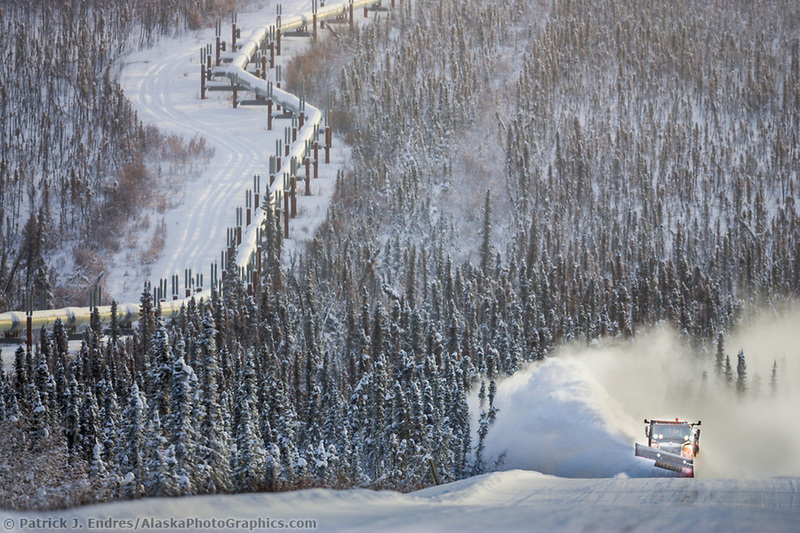 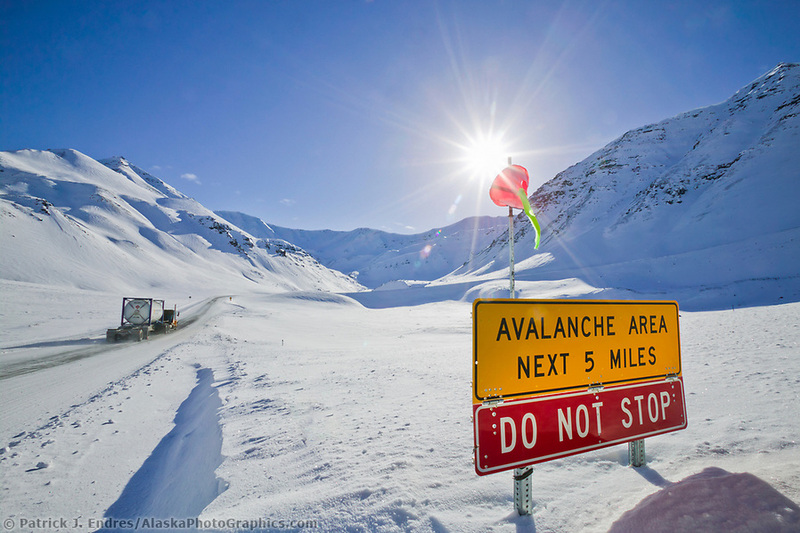 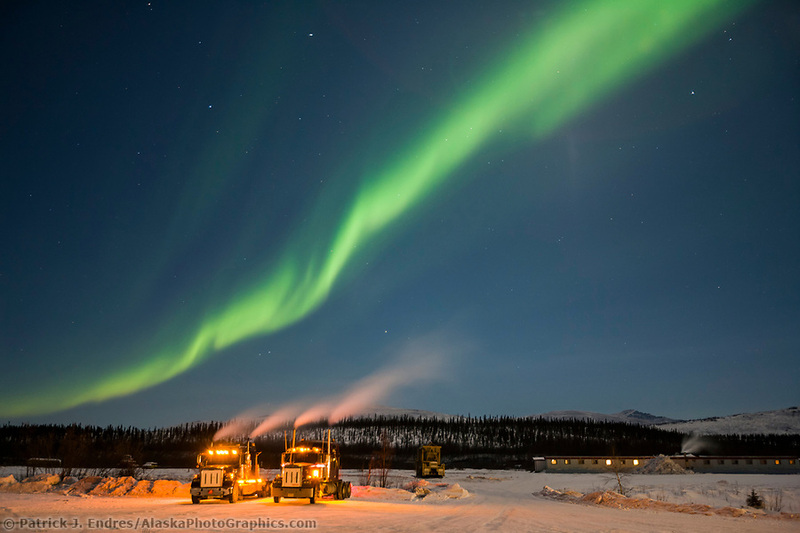 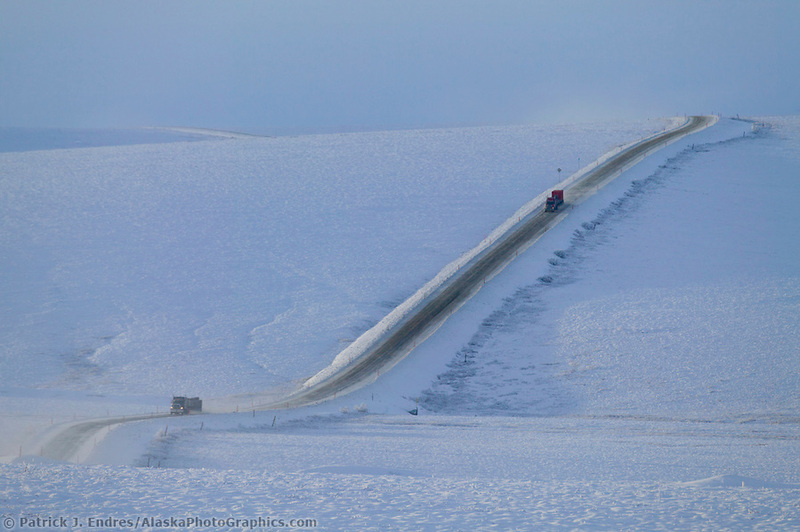 Alaska has the now famous James Dalton Highway, Alaska Route 11, or locally called the Haul Road or Dalton, which is heavily featured in the TV show. 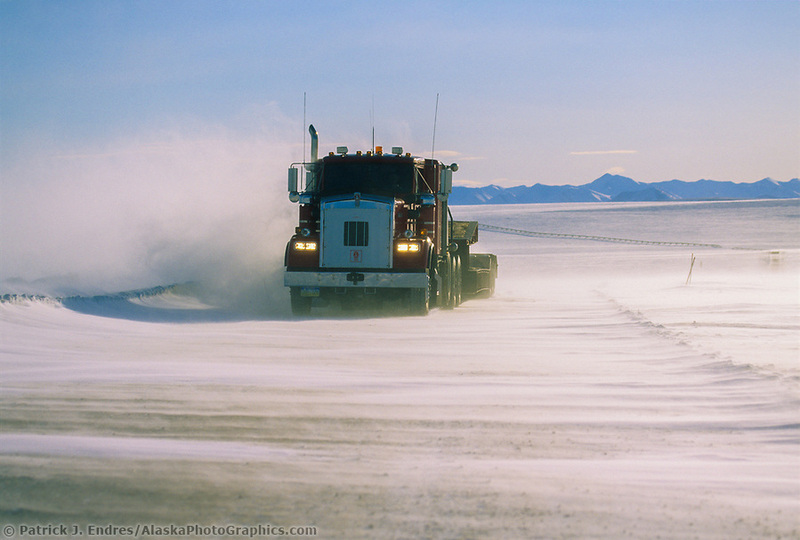 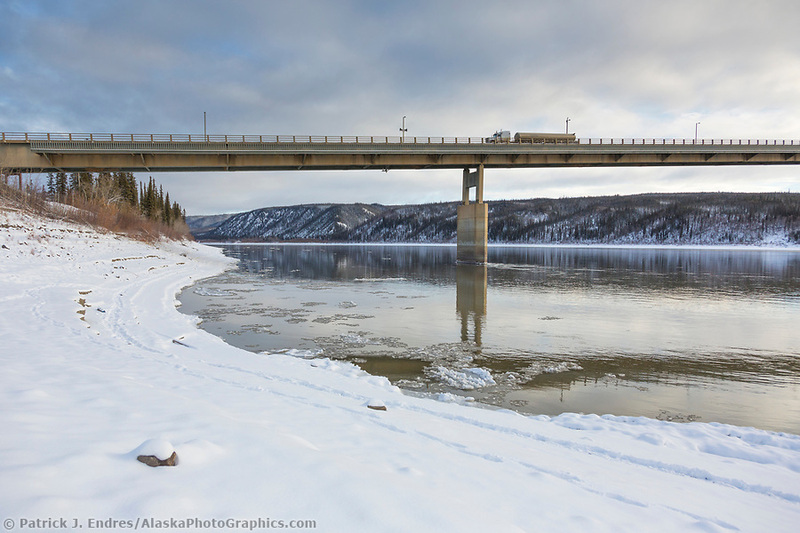 The road connects Fairbanks with the Arctic Ocean and Prudhoe Bay, and it was built to supply the oil field industry following the construction of the Alaska oil pipeline. 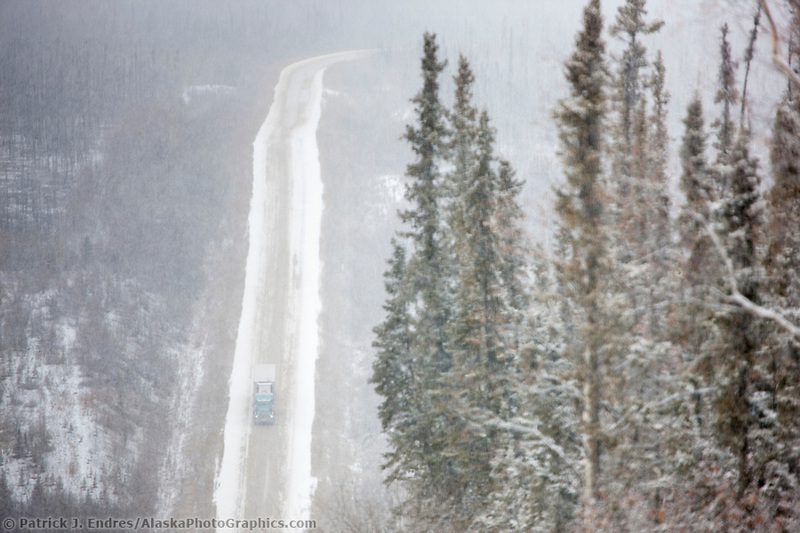 The road is notorious for bad weather, high winds, blowing snow and narrow sections. 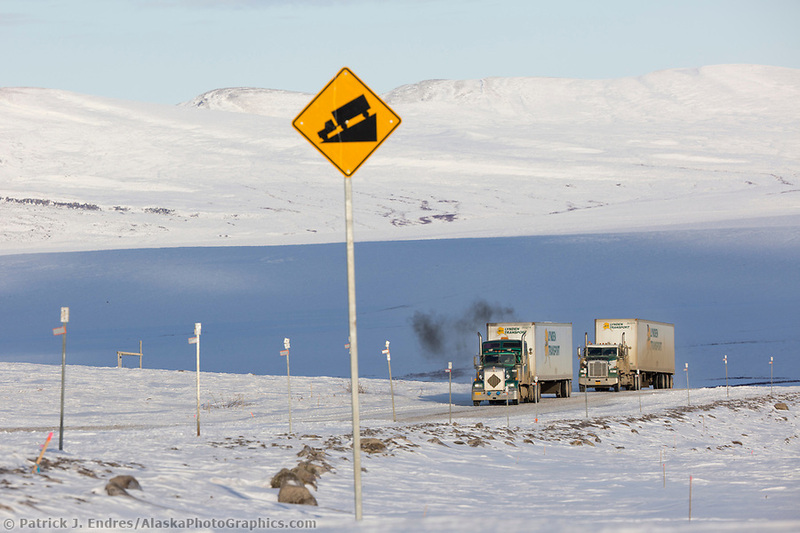 There are a number of Department of Transportation road service camps along the road dedicated to keeping the road passable for Truckers. 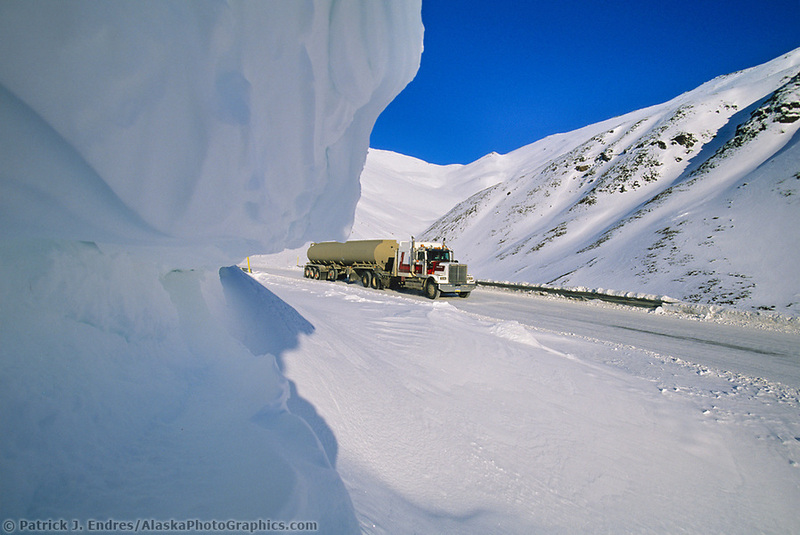 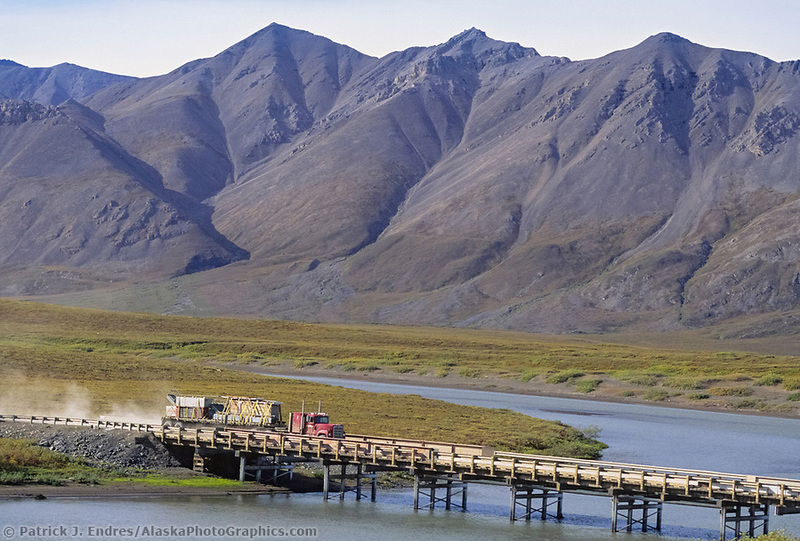 Most of the trucking photos here are from this section of Alaska road. 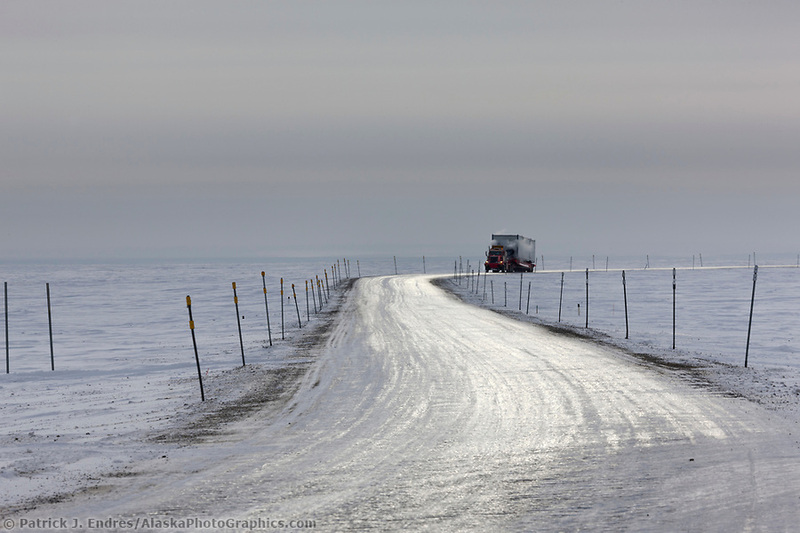 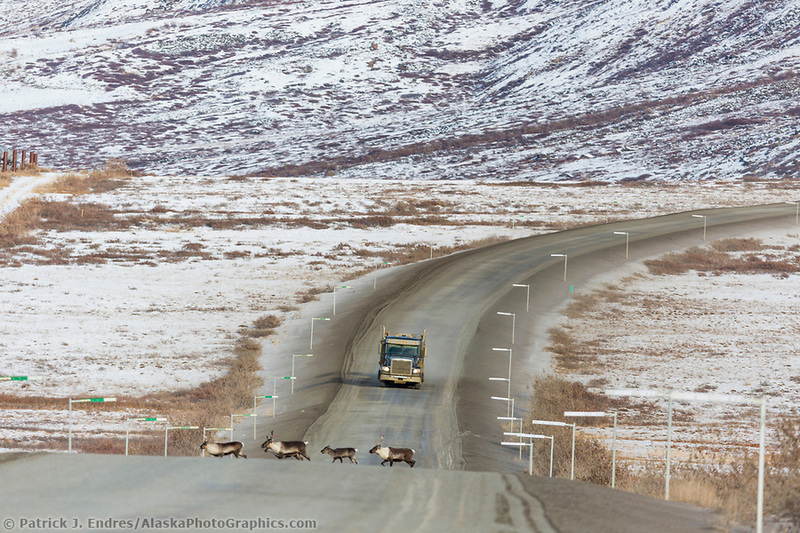 Wildlife crossing the Dalton Highway can cause problems for truckers since there are no lights along the route. 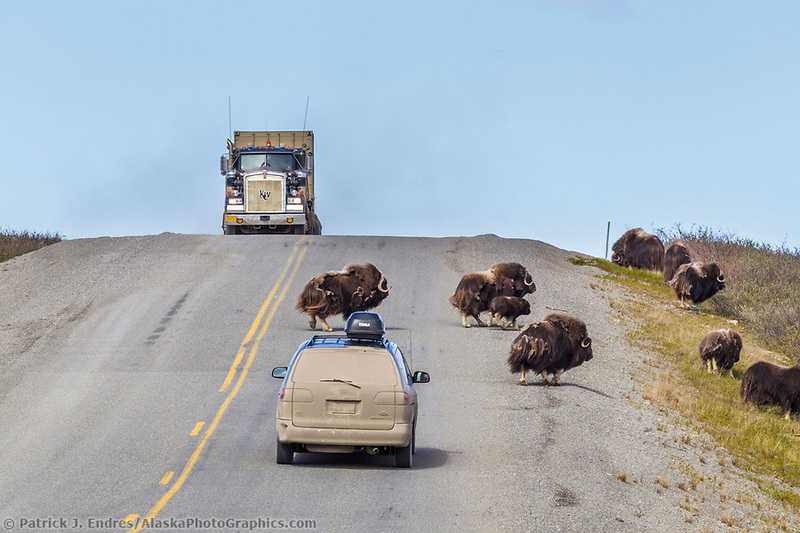 Most trucks have elaborate supplemental lights to broadcast far down the road in order to see wildlife or other obstructions that may be on the road.